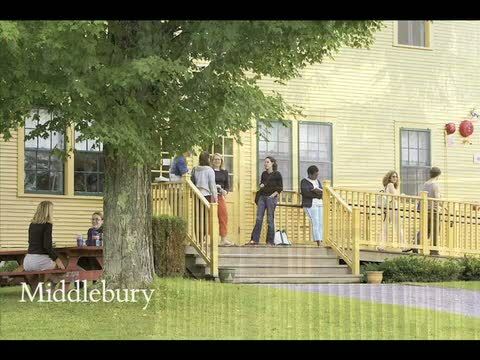 The conference will take place at the Bread Loaf campus of Middlebury College, nestled in the Green Mountains of Vermont and under the shadow of Bread Loaf Mountain. Participants will be inspired by the breath-taking views of the surrounding mountains, the hundreds of miles of trails surrounding the campus, the remarkable original Bread Loaf Inn, and the stillness of the surrounding forest. Participants are housed in historic buildings on the campus which provide simple but comfortable lodging. Most rooms are doubles and baths are shared. All buildings are within walking distance of the center of the campus, but some are farther from that center than others. We ask those accepted if they plan to bring a car, so we can arrange accommodations suitably. For those who prefer off-campus housing, a list of hotels and other accommodations can be found at the Addison County Chamber of Commerce website. Meals are catered by Middlebury College Dining Services, which incorporates locally-sourced food from over fifty Vermont companies into its menus and is ranked in the top 20 college dining services by Princeton Review. Meals are served in the dining room of the Inn and include a salad bar and veg­etarian and other options. The Davison Memorial Library on the Bread Loaf campus hosts a collection of literature, reference books, and a special reserve shelf featuring books by faculty and guests. The downstairs "Apple Cellar" is a fully equipped computer lab with printers. Wi-Fi access is available in all common areas and most participant housing. Please note that cell phones generally do not work on the Bread Loaf campus. The Bread Loaf campus is located in Ripton, Vermont, about twenty minutes from Middlebury. The GPS location found in most Internet map tools is 4229 Route 125, Ripton, Vermont 05766. See the GPS location noted above. The campus is a 2 1/2 hour drive from Montreal, about 4 hours from both Boston and Hartford, 5 hours from New York City, and 6 1/2 hours from Philadelphia. The nearest airport is located in Burlington, VT (BTV), about an hour and twenty minutes from the Bread Loaf campus. Shared taxis will be available to transport people from the airport to campus. The College uses a transportation service called Middlebury Transit. Middlebury Transit uses luxury vans, but the cost is the same as taking a regular taxi and sharing rides is encouraged. Transit staff fit participants into a shared schedule of rides based on their arrival and departure details. 2018 fees ranged from $25 per person (for 9 or more guests) to $145 (for one guest). Details regarding how to make taxi arrangements are included with acceptance materials. Plan to arrive in Essex, VT, if you can. The station is called Burlington-Essex. You will have a better chance of sharing a taxi with other Bread Loafers if you arrive in Essex. If you choose to arrive in Rutland, VT, or Port Henry, NY, a taxi will be possible, but you will likely end up taking it on your own, so the fee will be more expensive. See the taxi details and fees noted in the Plane section above. Greyhound provides bus service from Montreal, Boston, Albany, and NYC to Burlington, Vermont. Visit www.greyhound.com for more information or call 1-800-231-2222. A taxi from the bus terminal in Burlington is available. See the taxi details noted in the Plane section above.